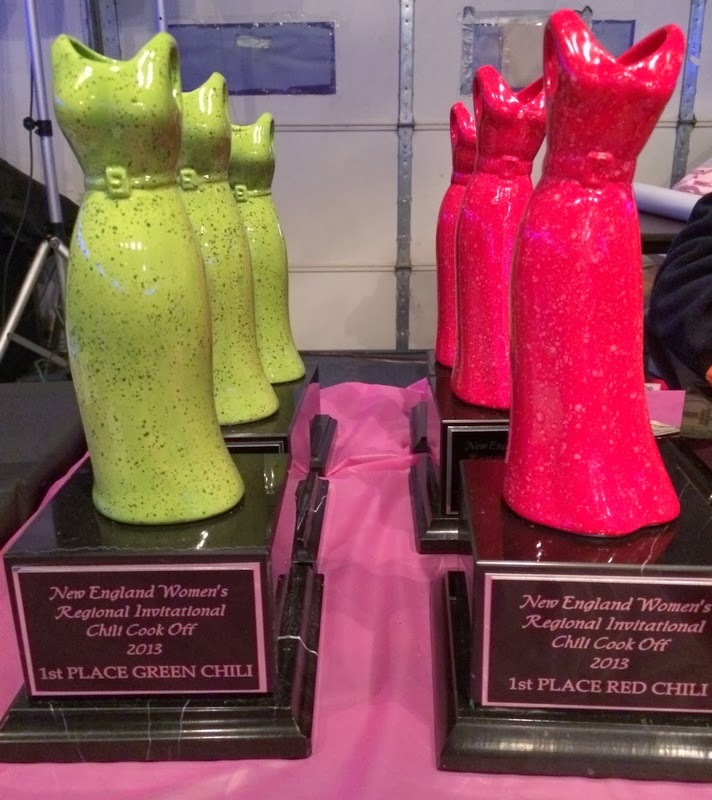 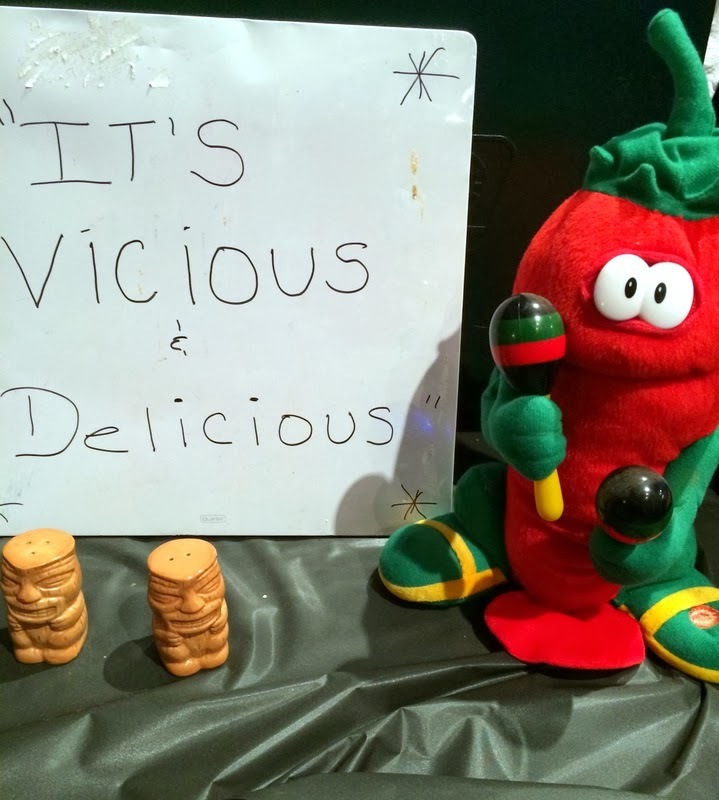 On Saturday January 18th, we were judges at The New England Women's Regional Invitational Chili Cook Off. 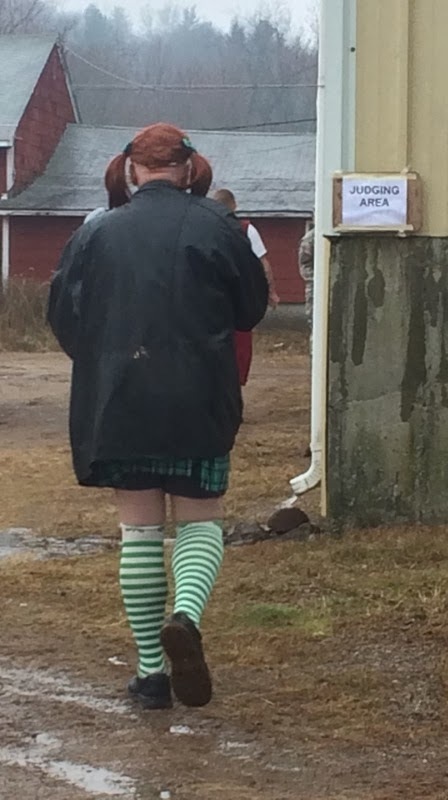 What a wonderful event! 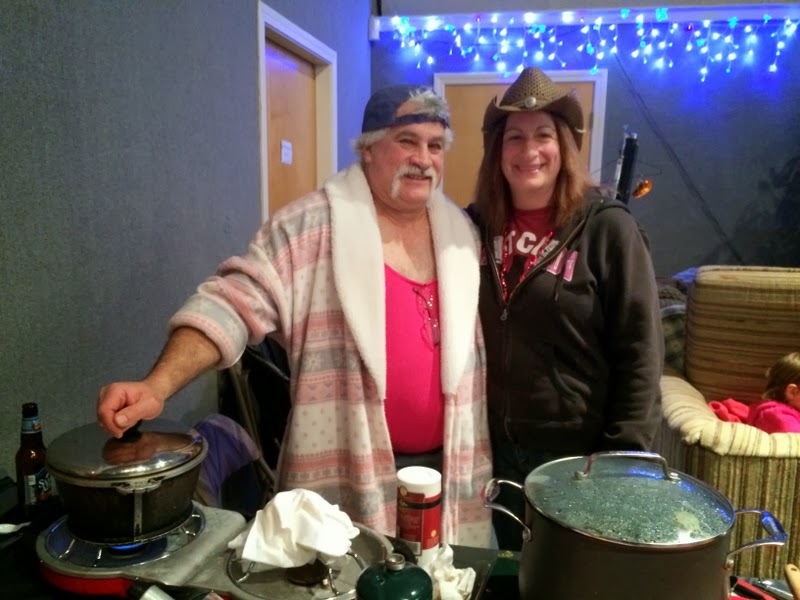 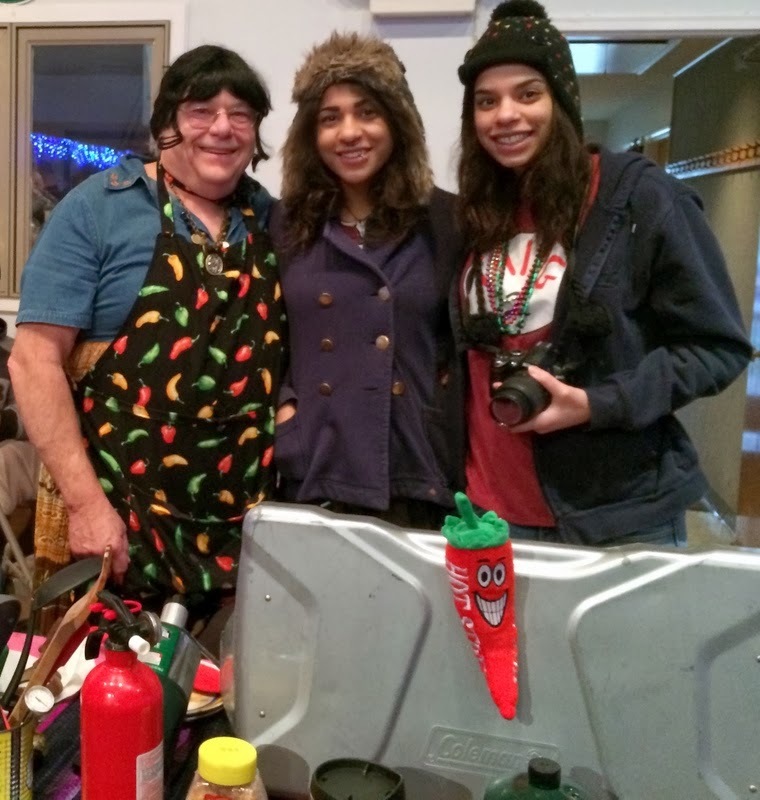 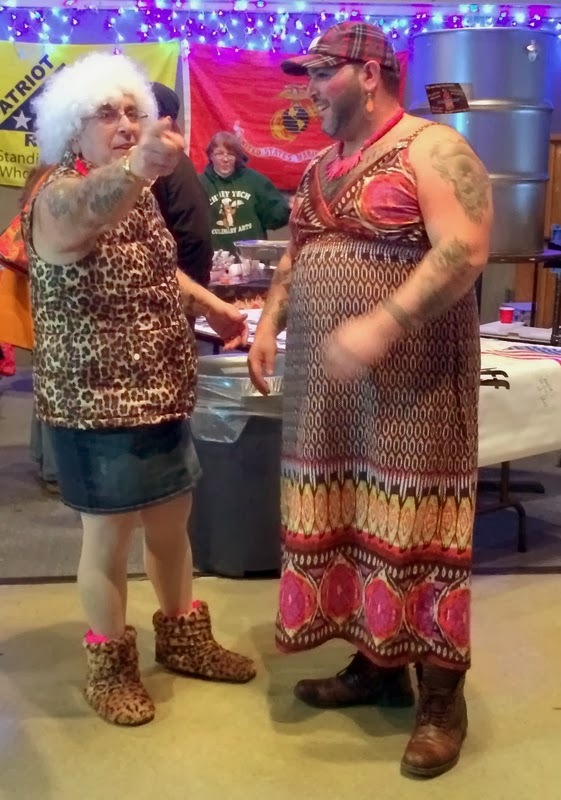 Organized by chili cook and cook-off veteran "Mad Mike" Freedman, the event was a benefit with all proceeds (approximately $5,200) donated to help Marine widow Amanda Jordan and her family as she battles cancer. 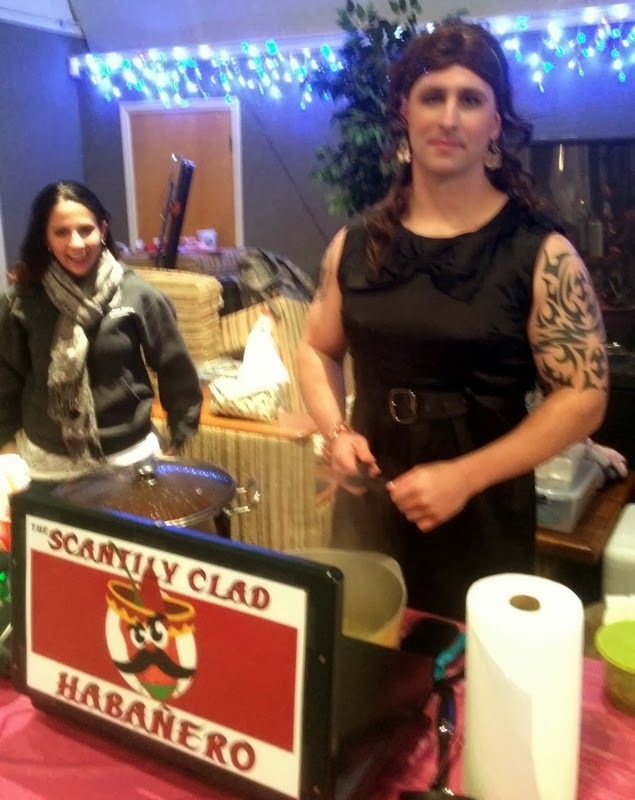 Her husband, Gunnery Sgt. 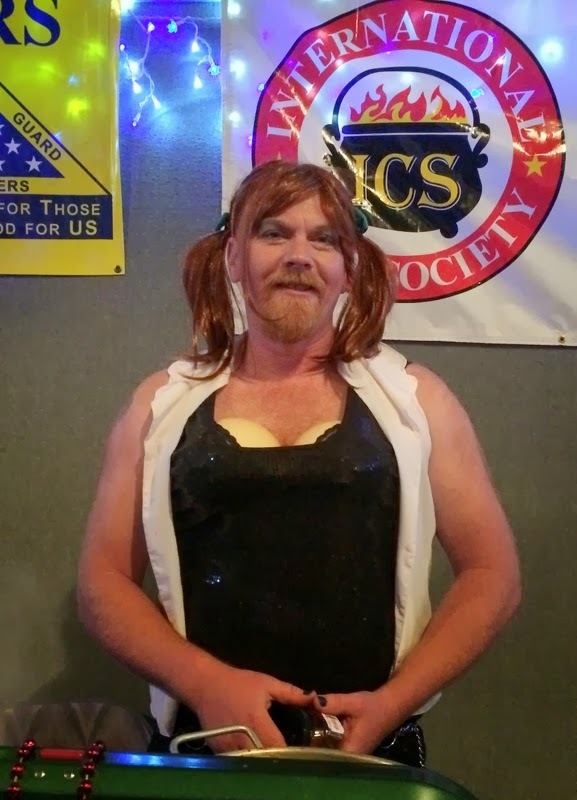 Philip A. Jordan, was killed in Iraq in 2003 and the military benefits going to the family have since expired. 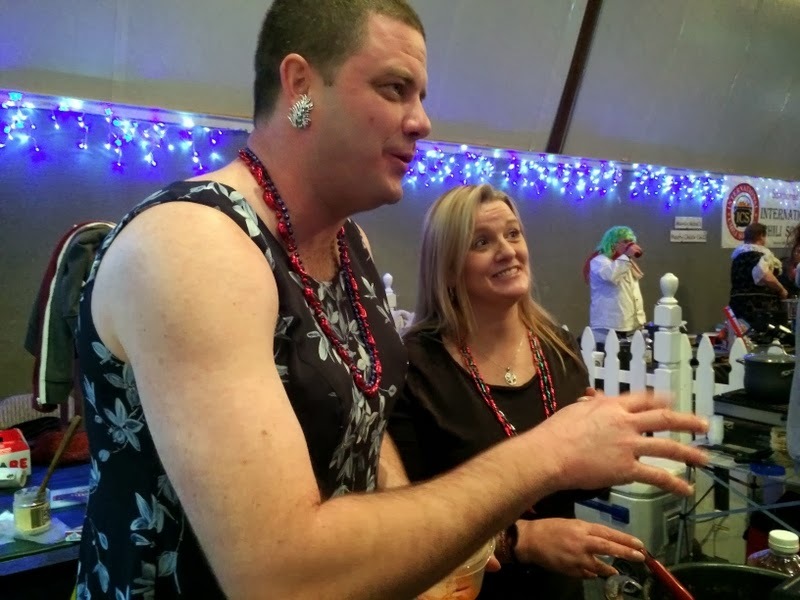 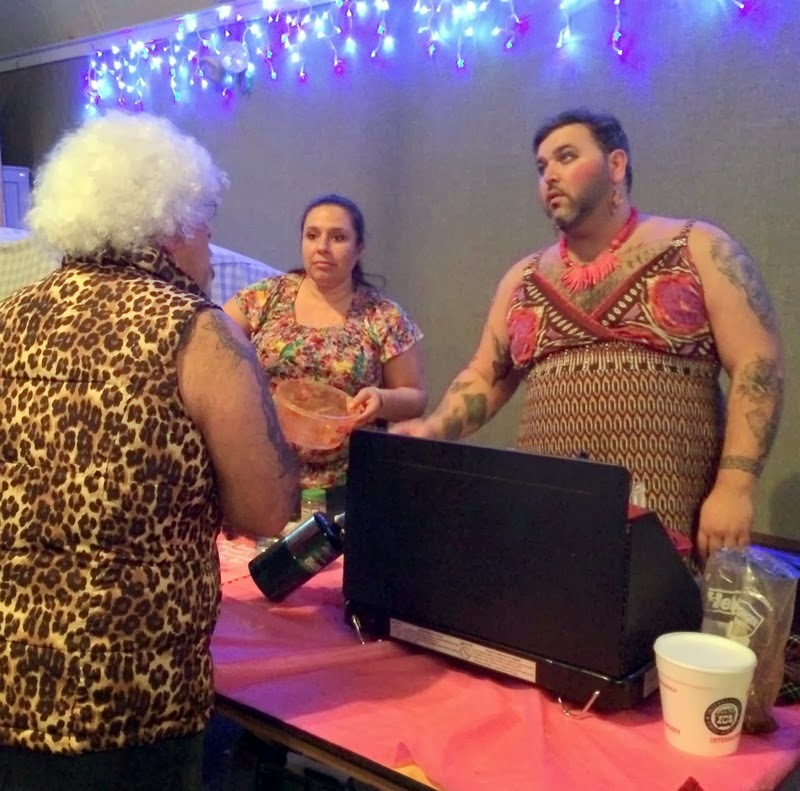 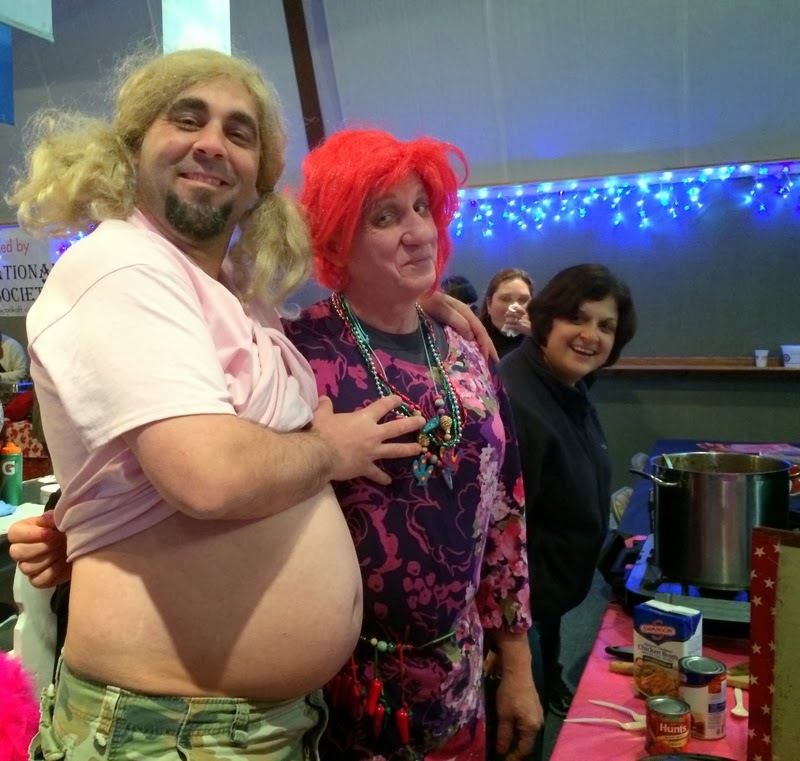 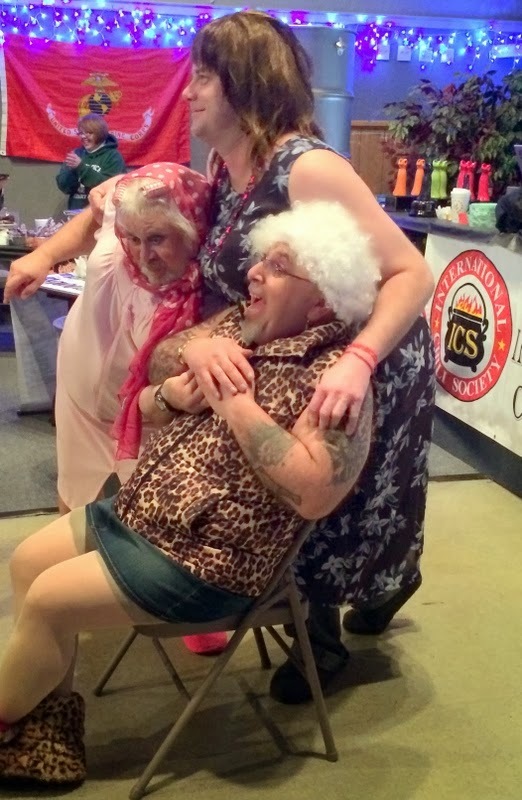 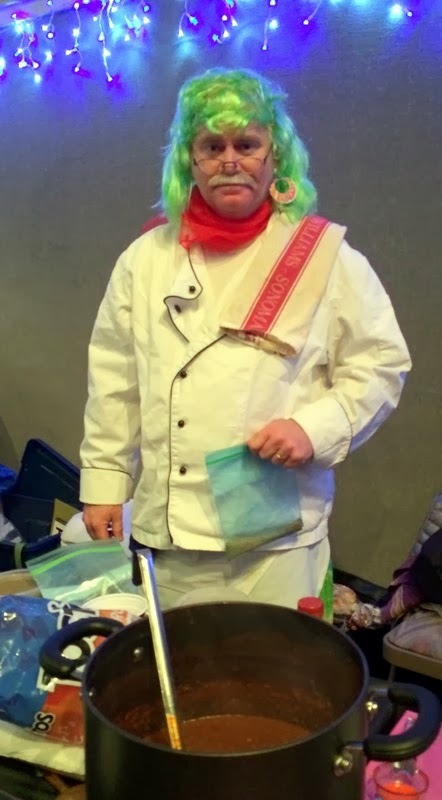 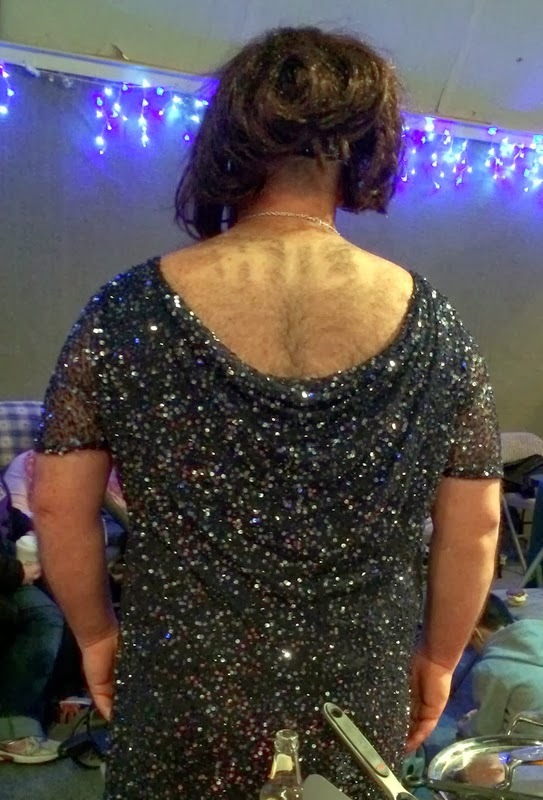 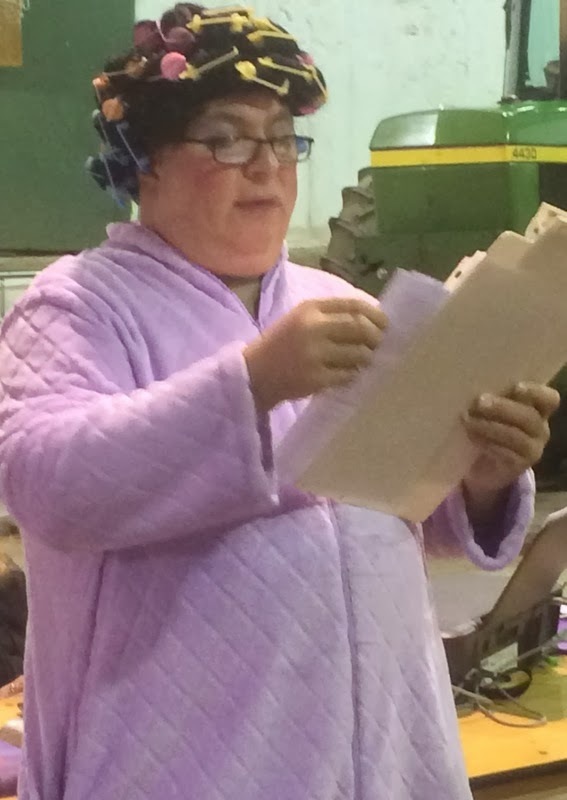 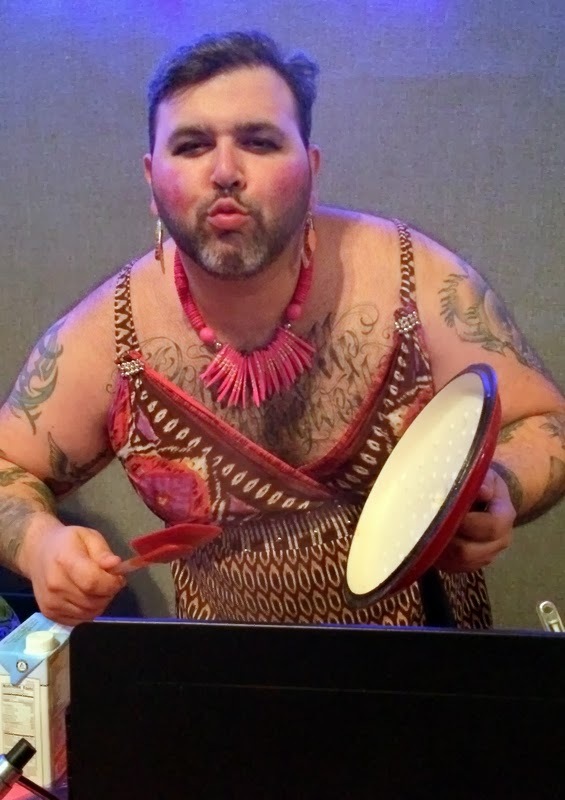 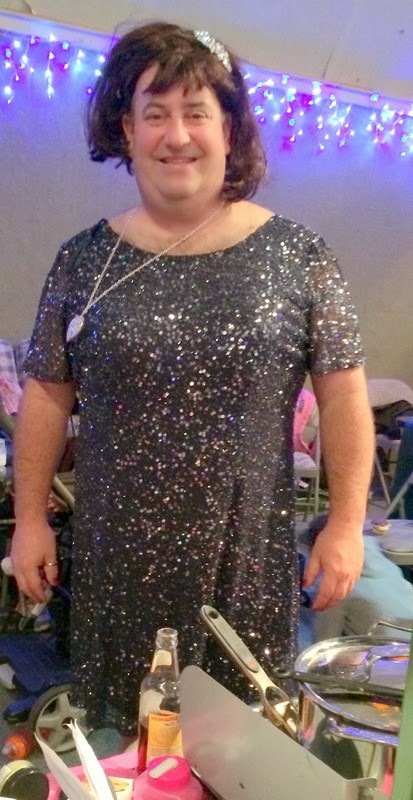 All cooks, both men and women, were asked to dress as ladies for the "women's" cook-off, which made for quite a sight, as you can see in our pictures. 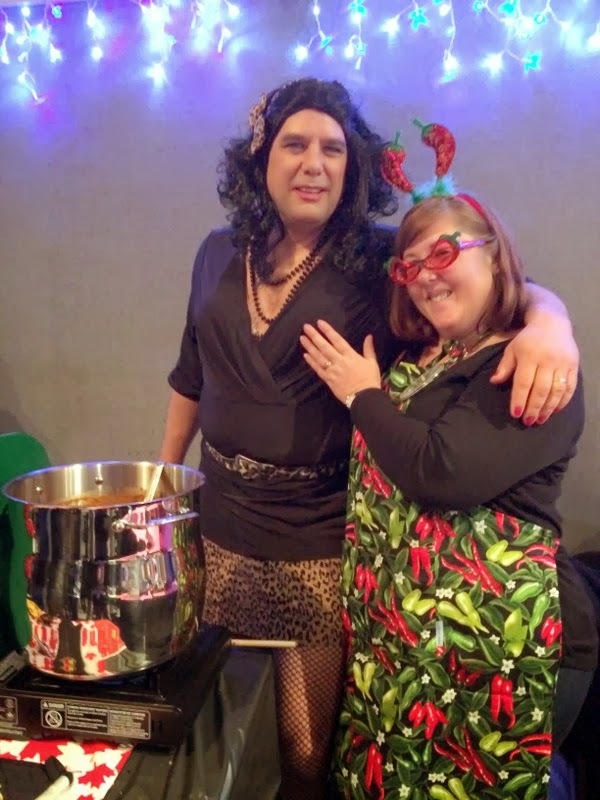 We were asked to judge all three categories: salsa, chili verde (made with green chiles) and red chili (made with red chiles), using rules and regulations set forth by the International Chili Society. 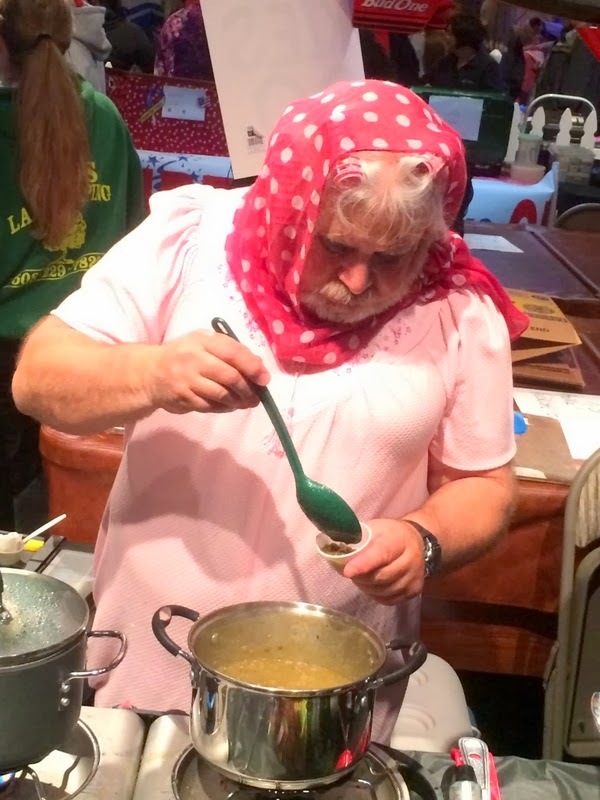 Over forty cooks from across the Northeast and even Canada were on hand with their best salsa and chili recipes. 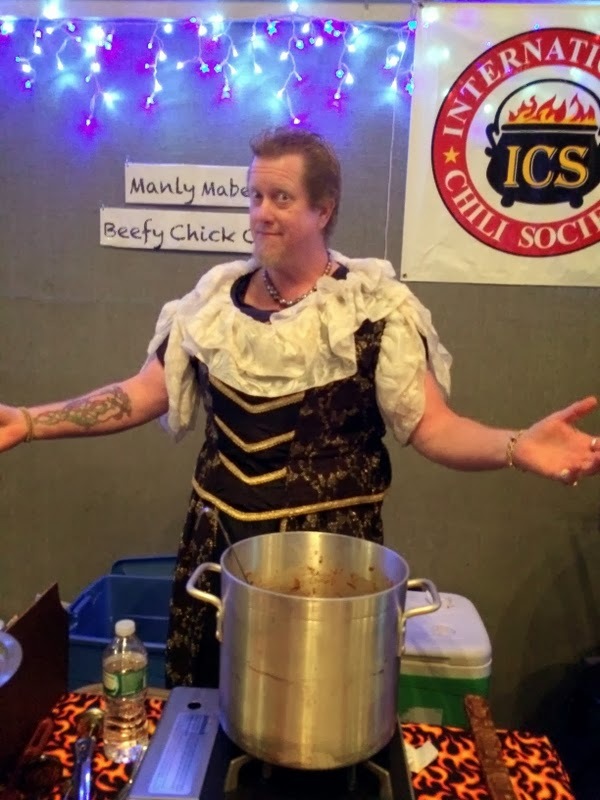 And the winners were: Isaiah Frechette from Ellington with the best salsa; Dave Kelley from Loudon, New Hampshire with the best chili verde; and Matt Levy from Baltimore, Maryland with the best red chili. 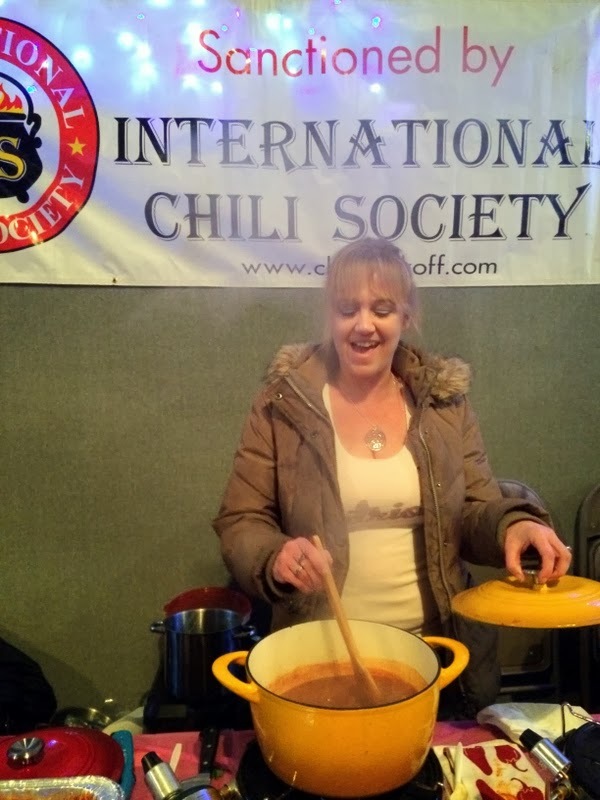 The New England Regional Chili Cook-off is slated for May 3rd so mark your calendars!